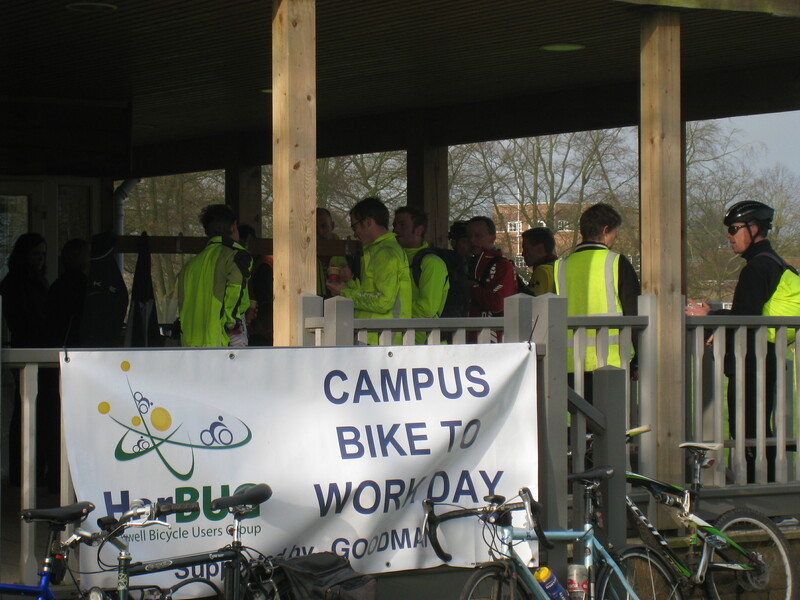 Thinking of having a go at cycling to work or starting to cycle to work then join us on one of our Bike to Work days. We run two a year; one after the clocks go back to encourage cyclists back onto their bikes and a Science Vale Bike to Work day during National Bike Week in June. If you would like to find out about routes and have some hints and tips about cycling in then cycle to work in an escorted group from Abigndon, Didcot, Grove or Wantage. All fitness levels welcome. To finish off we all meet at the Harwell Pavilion for free cyclist’s breakfast. The next Bike to Work Days will be in 2013.